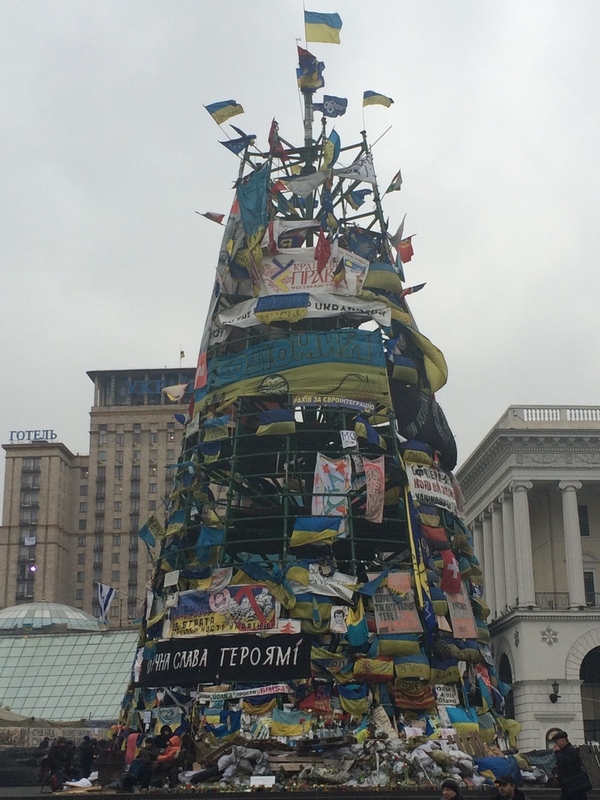 Two years ago the world in awe witnessed the redefining events in the life of 25-year-old independent Ukraine – a redefinition, which had great impact on history books and our lives as the profound expression of democracy exploded on the streets of the nation’s capital – the city of Kyiv. 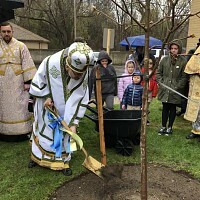 The parishes of the Ukrainian Orthodox Church of the USA once again were bathed in candlelight as vigils and prayers were offered for the ancestral homeland by so many of the faithful of the UOC of the USA and throughout the world. The events of November 2013 and throughout the winter months of 2014 in the life of independent Ukraine and her aspirations to continue the development of true democratic society came under a severe threat. Thousands of Ukrainian citizens stood up for their beliefs by participating in protests – known as Maidans – based on their location in the central squares (maidans) throughout Ukraine, in addition to Kyiv. Hundreds of lives were lost protecting the sacred precepts of God-given independence and the physical borders of a very young European nation. Now, two years later, nearly 10,000 more have perished in the defense of that independence against foreign invasion in the Donbas region, an invasion by Russian troops (“volunteers”) claiming to “protect” Ukrainian citizens of Russian descent against discrimination and “threat” which did not exist. 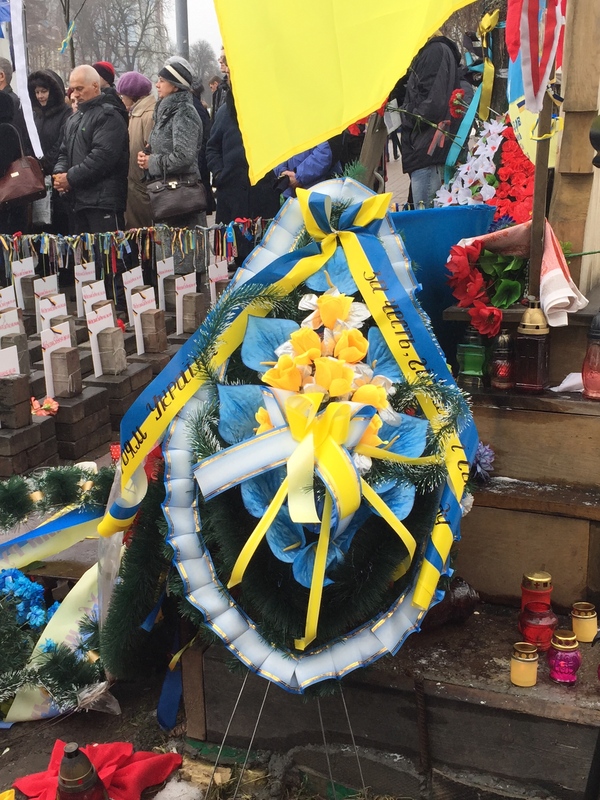 Throughout Ukraine’s history – even before the Maidans – millions (no, not thousands or tens of thousands) of people have given their lives for freedom, dignity and human rights, in order to reclaim the right to peaceful demonstration as well as political and civil activity. All our lives we have studied the history of our Ukrainian nation and throughout our ministry we have held in our arms the victims of the aggression coming from the threshold of the neighboring Russian Federation, the survivors of the suppression, repression, family separation, gulags, torture, Holodomor – death by starvation - looking into their eyes as they remember the millions of their own family members lost “for the good of the empire”. We witnessed the joy in their faces as they thanked God for the freedom of their nation - their whole, united nation - before independence and over the past 25 years since the referendum on independence passed overwhelmingly throughout all the nation. 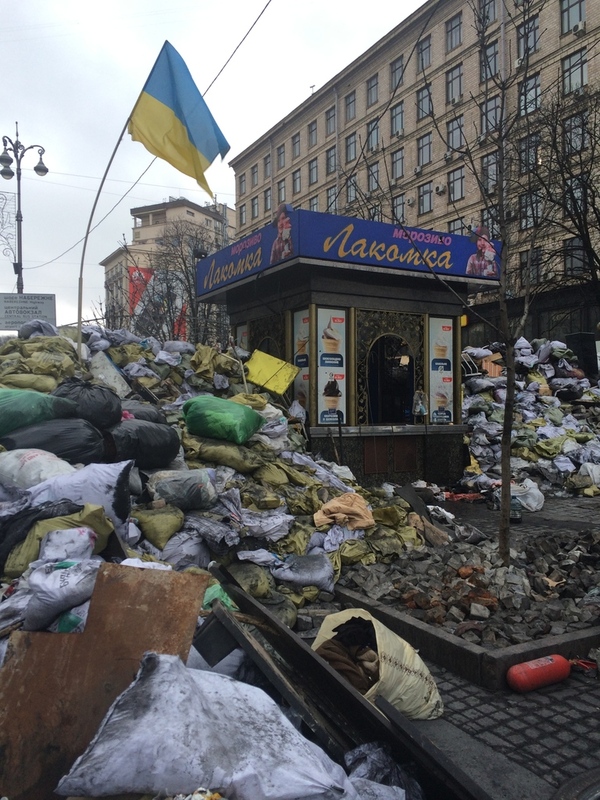 As the result of this, in the face of threats to that independence, that we reflect at this second anniversary on the horrific and painful pages of the historical reality of the DIGNITY MAIDAN of 2014. As years go by and Ukrainian state continues to battle foreign invasion and internal political instability, we continue to rightfully demand of our own political leaders here in the United States of America and throughout the world, that strong, effective and honorable action be taken in support of Ukraine before it is too late - once again. We urge all our clergy, faithful and parish communities to be in contact with our President, Congressional Representatives and Senators, our state Governors and Legislators to stand firm in support of Ukraine, her borders and most importantly her beloved people in Ukraine and throughout the world! The voice of people must be heard and respected and it cannot be silenced by the noise of weapons and uncertainties of those in leadership positions who choose to confuse and abuse. The use of internal confrontation and political instability will not resolve the fact of an existing external foreign invasion and the desire of the Russian bear to once again control all aspects of Ukrainian life. 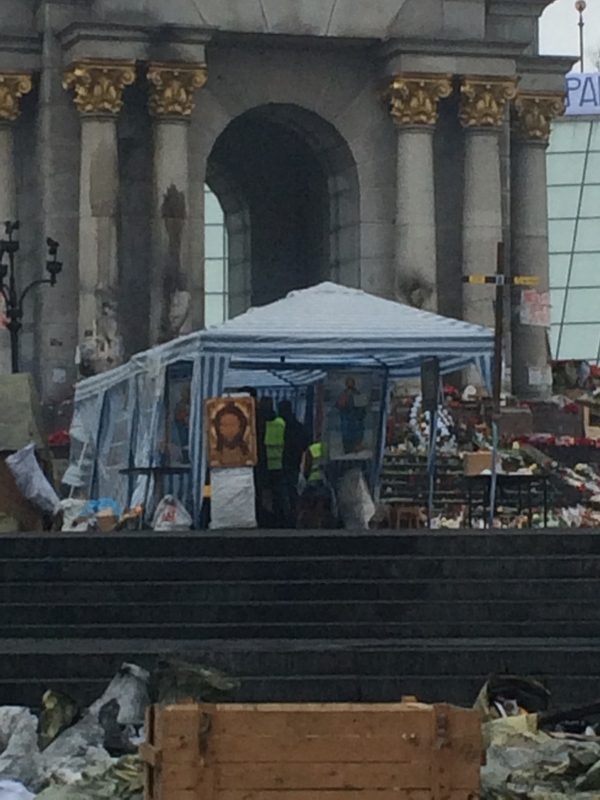 We remain in solidarity with our Orthodox, Catholic and other Faith leaders in Ukraine who have proven their devotion to their flocks through their steadfast prayer and ministry to those who sat on the cold cobble-stoned Maidan two years ago. We have personally delivered material support to the hospitals caring for the wounded soldiers and the families of those murdered. Today, however, we call upon brother Hierarchs of Orthodox Churches throughout the world to utilize their God-given authority, including those in Russia itself, to call for the cessation of the attacks against the people of Ukraine! 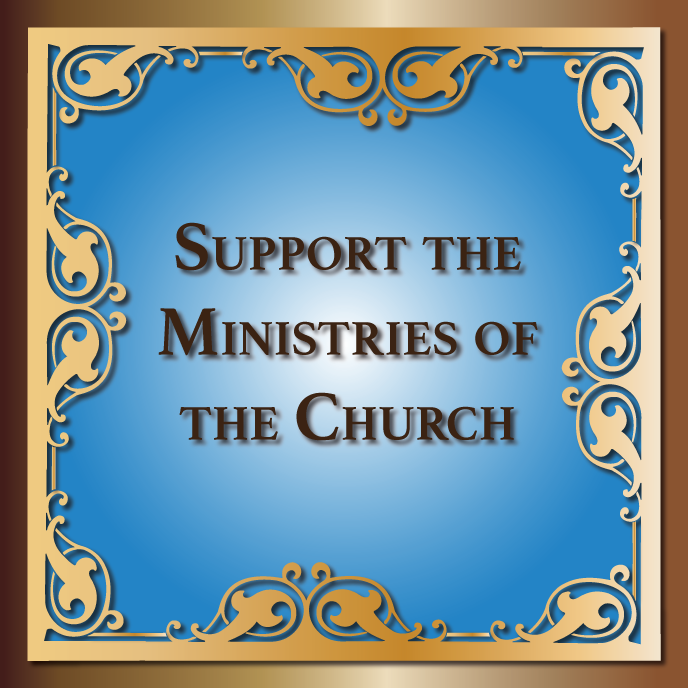 We call upon Christians of other denominations and adherents of all religious organizations around the world to urge their followers to speak up and help to avoid a cataclysm for a nation that has endured far more such cataclysms than it should have been able to endure. But, endure it did! Only by the Grace of God was Ukraine reborn over these 25 years - in spite of weak and fractured leadership at all levels - political social, ecclesiastical and more, which continues even after the Maidan. The time has come to allow her to blossom, as she has begun to - without being a threat to any of her neighbors and without abandoning millennium old international relationships. Ukraine and her people were for a significant and vital period of time, the very epicenter of world Orthodoxy. Our people have never abandoned their incredible faith in God – the Father – our Hope, the Son – our Refuge and the Holy Spirit – our Protection. They have continually prayed also for the protection of the Mother of God, who has intervened so frequently in the history of all mankind. We, as the hierarchs of the Ukrainian Orthodox Church of the United States of America, beg for the sincere and endless prayers of all who read these words or hear them spoken. We especially appeal to those monastic communities around the world, who pray continuously for mankind to place Ukraine and her people in their hearts and minds during all their prayers. Embracing the gift of freedom that we know with you, our spiritual children here in the United States of America and with those throughout the world, in the hope of moving forward, rather than backward in history, we beseech with awe and thanksgiving the Father of lights and every perfect gift, the Son of righteousness and the Spirit of truth to descend upon us all, embrace us, guiding and perfecting our every deed. May God in the Holy Trinity and the beloved Mother of God, the Ever-Virgin Mary, and all the Saints and Martyrs of Ukraine hear our prayers and protect our God-loving Nation of Ukraine and grant her peace and the knowledge of Truth and Love at all times. Два роки тому світ в страху став свідком надзвичайних подій в житті 25-річної незалежної України - перевизначення, яке мало великий вплив на книги з історії та наше життя, коли надзвичайно глибоке вираження демократії вибухнуло на вулицях столиці країни - міста Києва. Багато віруючих УПЦ США і в усьому світі, знову, при запалених свічках, піднесли свої невтомні молитви за батьківщину. Події у листопадові 2013 року та протягом зимових місяців 2014 року в житті незалежної України та її прагнення продовжувати розвиток у справжньому демократичному суспільстві виявилося під великою загрозою. Тисячі громадян України піднялися за свої переконання, беручи участь в протестах - відомі як Майдан – які проводилися на центральних площах (майданах) по всій території України, у підримці майдану у Києві. Сотні життів були втрачені захищаючи священні заповіти Богом даної незалежності та фізичні кордони дуже молодої Європейської нації. Тепер, через два роки, майже 10 тисяч загинули, захищаючи свою незалежність від іноземного вторгнення на Донбасі, вторгнення Російських військ ("добровольців"), які заявляють, що "захищають" українських громадян російського походження від дискримінації та "загрози", яка не існує. Протягом всієї історії України – і ще до Майдану – мільйони (не тисячі або десятки тисяч) людей віддали своє життя за свободу, гідність та права людини, з тим, щоб повернути право на мирні демонстрації, а також політичні та громадські діяльності. Все наше життя ми вивчаємо історію нашого Українського народу та на всіх сторінках її ми в наших руках тримаємо жертв агресій, що надходять з передової сусідньої Російської Федерації, які пережили заборони, репресії, розділення сімей, тортури, Голодомор - смерть від голоду - дивлячись в їхні очі, як вони пам'ятають мільйони своїх рідних, яких втратили "на благо імперії". Ми стали свідками радості на їхніх обличчях, коли вони дякували Богу за свободу свого народу - його цілісність, як єдина нація - за незалежність, - і протягом останніх 25 років, від часу, коли референдум про незалежність відбувся по всій країні. Беручи до уваги все вищесказане та загрозу нашій незалежності, ми звертаємо увагу у цю другу річницю, на жахливі та болісні сторінки історичної реальності Майдану Гідності 2014 року. І надалі Українська держава продовжує боротися проти зовнішнього вторгнення та внутрішньої політичної нестабільності, ми як і раніше вимагаємо від наших політичних лідерів у Сполучених Штатах Америки і в усьому світі, щоби сильні, ефективні міри були прийняті на підтримку України поки не стало надто пізно - ще раз. Ми закликаємо всіх наших священнослужителів, вірних та парафіяльні громади, звертатись до нашого Президента, представників Конгресу, Сенаторів, державних керівників та законодавців, щоб вони твердо відстоювали Україну, її кордони та найголовніше її людей в Україні та цілому світі! Голос народу повинен бути почутим та вислуханим і не може бути пригнічений шумом зброї і невизначеності тих, хто на керівних посадах, і вибирає безладдя та зловживання. Використання внутрішнього протистояння та політичної нестабільності не вирішить факт зовнішнього іноземного вторгнення та бажання Росії ще раз контролювати всі аспекти українського життя. Ми як і раніше солідарні з нашими Православними, Католицькими та іншими релігійними представниками в Україні, які довели свою відданість своїй пастві, через їх тверду молитву та в допомозі тим, хто сидів на холодній бруківці на Майдані два роки тому. Ми особисто доставляли матеріальну допомогу у лікарні, які доглядали за пораненими солдатами та сім'ями убитих. Сьогодні, однак, ми закликаємо ієрархів Православних Церков по всьому світу, щоб застосували їм Богом дану владу, в тому числі і в самій Росії, щоб закликали до припинення наступів на людей України! Ми закликаємо християн інших конфесій та прихильників усіх релігійних організацій по всьому світу, щоб закликали своїх послідовників, не мовчати та допомогти уникнути катаклізму для нації, яка пережила набагато більші катаклізми, ніж зараз переживає. Тільки за благодаттю Божою Україна відроджувалася усі 25 років - незважаючи на слабке та не однодумне керівництво на всіх рівнях – політичному, соціальному, церковному та ін., що триває навіть після Майдану. Настав час для неї розквітнути і вона вже почала - не будучи загрозою для її сусідів і не відмовляється від тисячолітніх міжнародних відносин. Україна та її народ були значний і життєвий період часу в самому епіцентрі світового Православ'я. Наші люди ніколи не відмовлялися від своєї неймовірної віри в Бога - Отця – що є нашою Надією, в Сина - що є нашим Спасінням та Духа Святого – що є нашим Заступником. Вони також завжди моляться і просять покрову Божої Матері, яка так часто в історії всього людства допомагала своїм посередництвом. Ми, як ієрархи Української Православної Церкви Сполучених Штатів Америки, просимо щирих та нескінченних молитов усіх вас, хто читає це звернення або почує його. Ми особливо звертаємося до монаших чинів по всьому світу, які постійно моляться за усіх людей, щоб вони постійно мали Україну та її народ в своїх серцях та згадували у всіх своїх молитвах. Користуючись даром свободи, який ми маємо з вами, нашими духовними дітьми тут в Сполучених Штатах Америки і з тими по всьому світу, з надією рухаючись вперед, а не назад в історію, ми молимо з благоговінням і вдячністю благословення Отця Світла і всякого звершеного дару, Сина Правди та Духа Істини зійти на всіх нас, обійняти нас, направити та вдосконалити кожен наш вчинок. Нехай Бог у Святій Тройці за заступництвом Богородиці, Приснодіви Марії, всіх святих та мучеників України почує наші молитви та захистить нашу Боголюбиву Україну і подасть їй мир, пізнання істини та любові на віки.